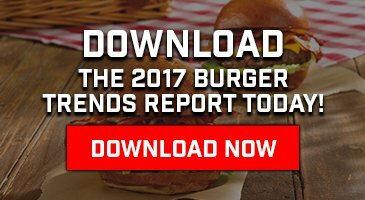 If you love Burgers and live in the Boston area, you know all about the Boston Magazine Battle of the Burger. It’s a competition to find the best Burger in Boston. Restaurants and Chefs battle it out in a winner takes all contest by letting attendees of the event pick their favorite Burger. Click here for the list of competing Chefs and restaurants. This year, it’s not just the Chefs and restaurants who have something to prove, it’s also the Home Grillers. Home Burger Cooks were asked to submit a Burger recipe of their own using our ground beef. Boston Magazine picked the top 3 and they will battle each other in a Home Griller competition. One lucky winner, as chosen by a panel of experts, including by our very own Jamie Schweid, will take home a professional grill from Kenyon Grills, and a party pack from Schweid & Sons, which includes $200 in premium ground beef and an apron for their own backyard cookout. The original blog post can be found on the Everyday Foodie website. It is hard to believe, but I have never made a burger. That is before today. I am trying to win a burger competition so I am playing off of some beginners luck to bring me victory with this burger. Let me tell you, I think I got it. Not only was the burger delicious and flavorful, the bacon onion spread is good enough to eat on ANYTHING. I really mean anything, this stuff is magic happiness. But all of it works together to make a deliciously happy burger. Since summer is right around the corner, start dragging out those grills and give this recipe a try. Lets begin with the bacon onion spread, since this takes the longest. Begin by slicing one onion and cooking it on medium low heat with a splash of oil. Add in salt and pepper and cook the onions low and slow. I would add a bit of water periodically just to help the process hurry along. Once the onions are tender and beginning to turn translucent, add the chopped bacon, molasses, and brown sugar. Continue cooking for 20 minutes on low, it will get all happy and slightly mushy. It will also get slightly caramelized, so you dont want to over cook it. Now for the burger, mince the mushrooms and add to the meat, then add cumin, and 2 tablespoons steak seasoning. You dont want to add salt to the burgers until the patties are formed or it will draw out the juice. Morph your burgers into the shape you want, you want a bigger than you expect patty (about the size of your hand). I added my cheese into the center of the burger because it keeps it nice and juicy but you can put it on top if you desire. I also cooked my burger in a frying pan (because I cant grill) and I cooked it for about 10 minutes on each side on high. This rendered a medium well burger, so keep that in mind depending on your preference. Now while your burger is cooking, lets make the apple, honey, chipotle guac. This is super simple, just mash an avocado, add 1/2 of a chopped apple, 1/2 teaspoon honey, 2 generous pinches of chipotle, 1 pinch ginger, salt, pepper, 1 teaspoon lemon juice, 1/2 teaspoon tabasco sauce. If you don’t have avocado, you can just use mayo, either works. LOADS of the bacon onion spread. Its big and messy and delicious, enjoy it! This mushroom bacon Burger will make you beg for it. @everydayfoodie.me will be showcasing this Burger in the @bostonmagazine #BurgerBattle but you can have it now by clicking the link in our bio.